Deadpool: Back In Black #5 Final Issue! MARVEL’S GUARDIANS OF THE GALAXY VOL. 2 PRELUDE #2 FINAL ISSUE! DOCTOR STRANGE/PUNISHER: MAGIC BULLETS INFINITE COMIC #8 FINAL ISSUE! THE CLONE CONSPIRACY #5 FINAL ISSUE! ENCHANTED TIKI ROOM #5 FINAL ISSUE! SCARLET WITCH #15 FINAL ISSUE! Coming to Marvel Unlimited in August 2017. Check out Marvel's latest news, articles, and press on Marvel.com! Read fresh comics featuring Guardians of the Galaxy, Luke Cage, Venom and more! Don’t miss out on these buzzworthy books hitting Marvel Unlimited this month! Hydra’s hordes continue their overhaul in SECRET EMPIRE, while Marvel’s Cosmic Collective gets an All-New shakeup in GUARDIANS OF THE GALAXY! ROCKET launches into his own crime caper! You’ll be a tree hugger after reading I AM GROOT! And a former Inhuman King gets humbled beyond all reckoning in BLACK BOLT! Plus, Harlem’s Defender revisits his roots in LUKE CAGE, while Eddie Brock reunites with VENOM! All this, and a Mutant Teen Takeover in GENERATION X…paired with JEAN GREY’s mind-bending solo series! Coming to Marvel Unlimited in November 2017. Check out Marvel's latest news, articles, and press on Marvel.com! Run down the list of new titles hitting MU! What’s coming your way on Marvel Unlimited this month? VENOM INC. is here and it’s sinking its inky tendrils into Peter Parker, Flash Thompson, and Eddie Brock! Visionary creator Ed Piskor gives you a refresher in X-history with X-MEN: GRAND DESIGN! King T’Challa stares down a monster in BLACK PANTHER – LONG LIVE THE KING, while the ROYAL INHUMANS become ONCE AND FUTURE KINGS! Then, it’s a return of some oldies-but-goodies with MARVEL 2-IN-ONE and TALES OF SUSPENSE! 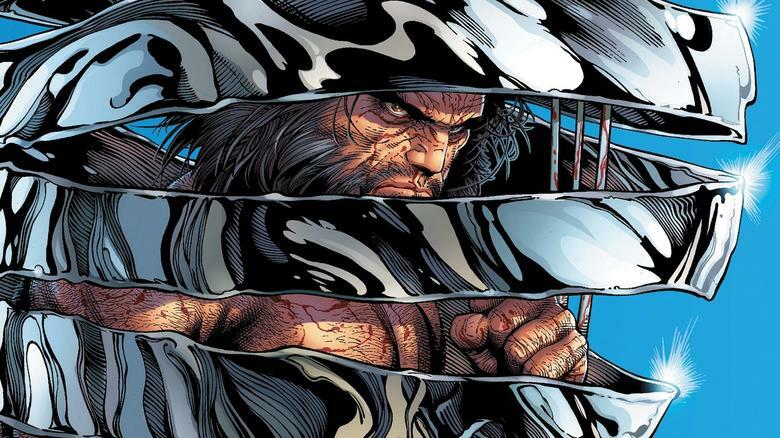 Plus, brand new story arcs starring OLD MAN LOGAN, MS. MARVEL, and WEAPON X! And, stay tuned for new additions from these classic series: THE ‘NAM (1986), SILVER SURFER (1987), MASTER OF KUNG FU (1974), and MUCH more! U.S.AVENGERS #12 READ COMPLETE SERIES! INHUMANS: ONCE AND FUTURE KINGS #5 READ COMPLETE SERIES! ROYALS #12 READ COMPLETE SERIES! MS. MARVEL #25 NEW LEGACY ARC! TALES OF SUSPENSE #100 NEW LEGACYSERIES! 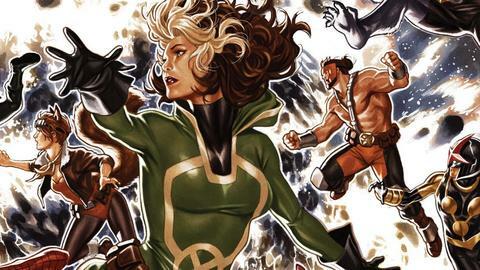 UNCANNY AVENGERS #30 READ COMPLETE SERIES! The weekly, 16-part Avengers epic NO SURRENDER is here! Psychic weirdness preludes Jean Grey’s return in PHOENIX RESURRECTION! The King ascends his throne in RISE OF THE BLACK PANTHER! And relive the big screen thrills of Star Wars: The Last Jedi and Marvel Studios’ “Avengers: Infinity War” in THE STORMS OF CRAIT and INFINITY WAR PRELUDE! Then, it’s Clint Barton’s turn to take on the Wasteland in OLD MAN HAWKEYE! Plus, get lobotomized with LEGION, sit in on couples therapy with ROGUE & GAMBIT, and finish up the Symbiote Smack Down arc in VENOM INC.! All this, and part 2 of visionary creator Ed Piskor’s X-MEN: GRAND DESIGN! And, stay tuned for these new additions from classic series: MAN-THING (1974) #19-22, NIGHTMASK (1986) #1-12, SUB-MARINER (1968) #39-49, MASTER OF KUNG FU (1974) #50-89, and so much more! 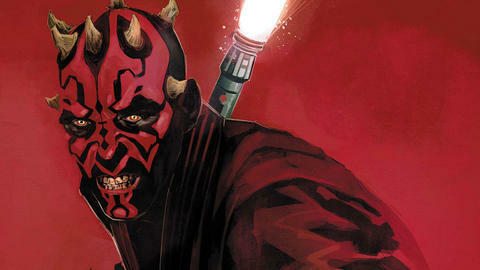 STAR WARS: JEDI OF THE REPUBLIC – MACE WINDU #5 FINAL ISSUE! ASTONISHING X-MEN #7 NEW LEGACY ARC! 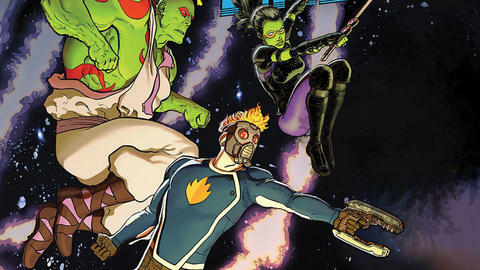 GUARDIANS OF THE GALAXY #150 FINAL ISSUE! 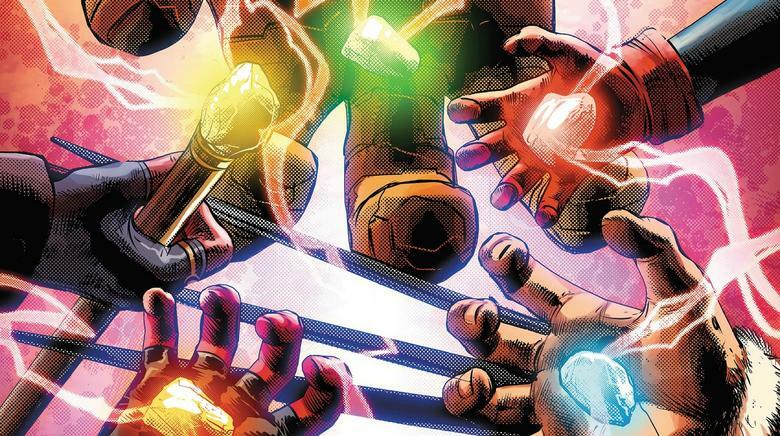 AVENGERS #675 “NO SURRENDER” STARTS! SECRET WARRIORS #12 FINAL ISSUE! AMAZING SPIDER-MAN: VENOM INC. OMEGA #1 “VENOM INC.” CONCLUDES! What's Coming to Marvel Unlimited this July. Check out Marvel's latest news, articles, and press on Marvel.com! This month’s Marvel Unlimited is chock-full of cosmic action! INFINITY COUNTDOWN begins…and you know it’s serious when ADAM WARLOCK is resurrected! The heavens reign down terror as the weekly, 16-part Avengers Epic, NO SURRENDER continues! Plus, an adult Jean Grey recruits an unlikely team in X-MEN: RED! The Master of Mystic Arts faces the music (or, ya know, Hellfire), in DOCTOR STRANGE: DAMNATION! Place your bets on DEADPOOL VS. OLD MAN LOGAN for the series finale! Plus, a prelude adventure starring Star Wars: The Last Jedi’s double-crossing DJ! Or if the Empire’s more your speed, check out the rise of their finest tactician in STAR WARS: THRAWN! All this, and the reemergence of the Phoenix as THE RETURN OF JEAN GREY concludes! And, stay tuned for these new additions from classic series: DAREDEVIL (1964) #113-119, #333-344, NEW WARRIORS (1990) #18-36, VENOM: THE HUNTED (1996) #1-3, VENOM: THE HUNGER (1996) #1-4, and much, much more! JEAN GREY #11 FINAL ISSUE! PHOENIX RESURRECTION: THE RETURN OF JEAN GREY #5 FINAL ISSUE! SPIRITS OF VENGEANCE #5 FINAL ISSUE! DEADPOOL VS. OLD MAN LOGAN #5 FINAL ISSUE! GENERATION X #87 FINAL ISSUE! INFINITY COUNTDOWN PRIME #1 INFINITY COUNTDOWN BEGINS! LUKE CAGE #170 FINAL ISSUE! Coming to Marvel Unlimited in August 2018. Check out Marvel's latest news, articles, and press on Marvel.com! Find out what’s heading to the web this month! It’s a huge month for Marvel Unlimited! New Comics Coming to Marvel Unlimited this October. Check out Marvel's latest news, articles, and press on Marvel.com! 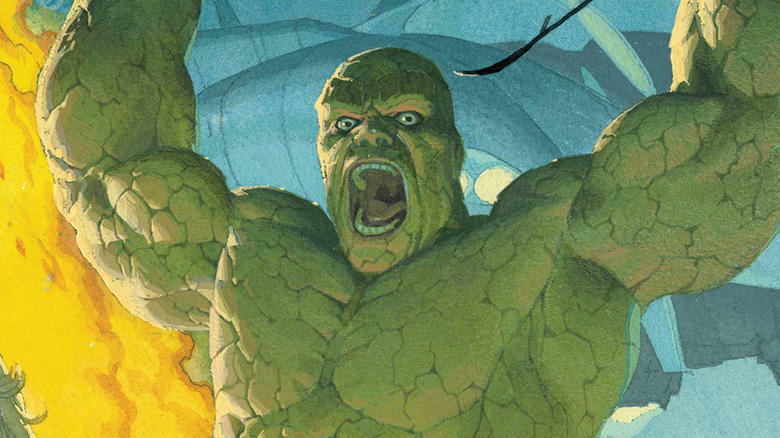 Coming in February… The World’s Greatest Comic Mag returns in FANTASTIC FOUR! The scattered Infinity Stones lead to all-out INFINITY WARS! 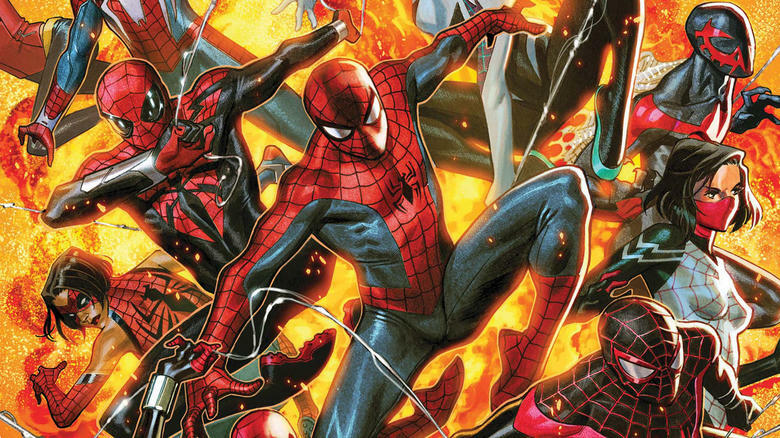 Meet many Spider-Folks in EDGE OF SPIDER-GEDDON, and witness teen mutants cheat death in EXTERMINATION! Then, visit California with the WEST COAST AVENGERS! All this, plus PUNISHER’s current ongoing, LUKE CAGE’S MARVEL DIGITAL ORIGINAL series, and the final clues in THE HUNT FOR WOLVERINE! SPIDEY - SCHOOL’S OUT #6 SERIES COMPLETE! New Comics Coming to Marvel Unlimited in February. Check out Marvel's latest news, articles, and press on Marvel.com! 25,000 comics and growing! And even more hits are coming your way this month in Marvel Unlimited! 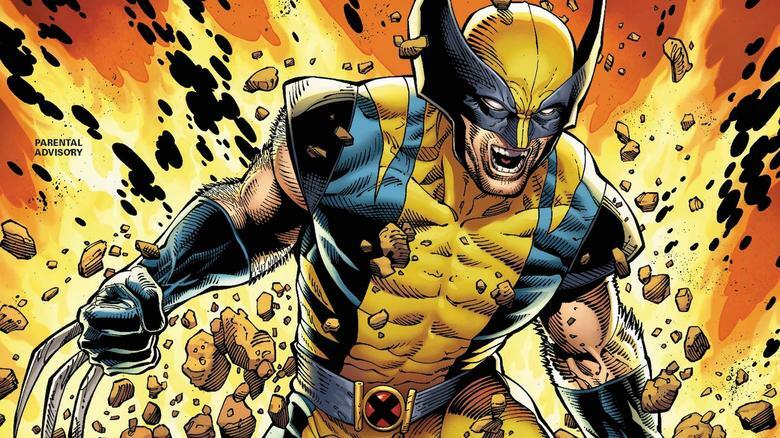 He’s back, Bub–it’s the RETURN OF WOLVERINE! The Mid Titan journeys back from the future in THANOS LEGACY! It’s a Cap America/Doctor Strange mash-up in INFINITY WARS: SOLDIER SUPREME! Then, cut a swath across the cosmos with the ASGARDIANS OF THE GALAXY! Plus, the name’s Wilson, Wade Wilson, in SECRET AGENT DEADPOOL! Need a comic with chill? Try ICEMAN’s latest series! And, stay tuned for these new additions from classic titles: X-MEN (1991) #58-61, CAPTAIN MARVEL (1968) #47-62, THING (1983) #1-22, WHAT IF? (1977) #40-47, and much more! X-MEN: GRAND DESIGN - SECOND GENESIS #2 SERIES COMPLETE! STAR WARS: LANDO - DOUBLE OR NOTHING #5 SERIES COMPLETE! New Comics Coming to Marvel Unlimited in March. Check out Marvel's latest news, articles, and press on Marvel.com! This ain’t no joke—these are the comics getting the digital treatment this month! New Comics Coming to Marvel Unlimited in April. Check out Marvel's latest news, articles, and press on Marvel.com!